The International Foundation for Y-PEER Development became a partner in the project “Evidence-based Advocacy: Championing SexEd in Europe (CSE)” led by YouAct and CHOICE. 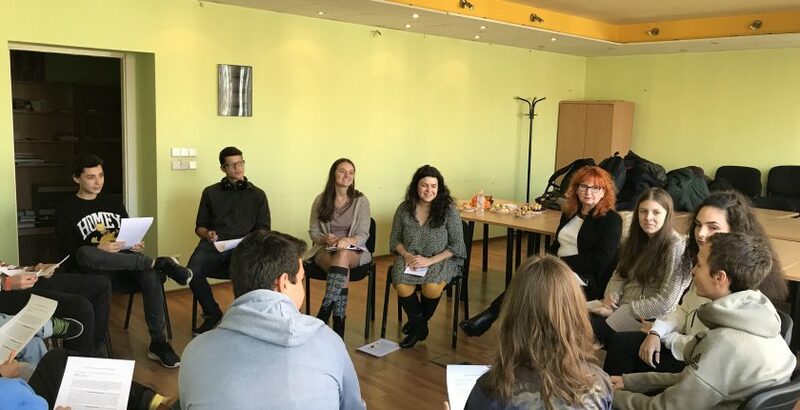 As a part of the project, the volunteers of the Foundation organized a consultation meeting with young people from Sofia, Bulgaria, focused on discovering their needs and the information they have in the field of Comprehensive Sexuality Education (CSE) and Sexual and Reproductive Health and Rights (SRHR). The consultation (focus group) took place on the 7th of December 2018 and involved 13 young people from the 51st high school in Sofia, approximately 15 years old. The main associations that the students had when talking about SRHR were related to risks, dangers, disease – negative aspects, as well as contraceptives. Pleasure was just briefly mentioned once. Another main topic was condom use and accessibility – that condoms should be promoted more through campaigns, commercials, etc. Parents’ and friends’ influence is considered very important in terms of SRHR. Mutual support and sharing between children and parents is considered important. When talking about topics that are part of CSE, they focused a lot on violence and its different aspects, recognizing different types of violence and that it is an important topic to discuss at school. The young people were mentioning the role of the schools in providing sexuality education and gave some examples of what they envision – presentations, discussions (with participation of teachers, older students, parents); they also mentioned CSE out of school, through different non-formal activities like outdoor events, festivals, expos providing information. The information obtained during this consultation will be used for formulating messages for members of the European Parliament in 2019, as a part of the project. The Foundation will continue working on CSE and SRHR on the local level, researching the needs of young people and providing capacity building, information and materials through its activities.